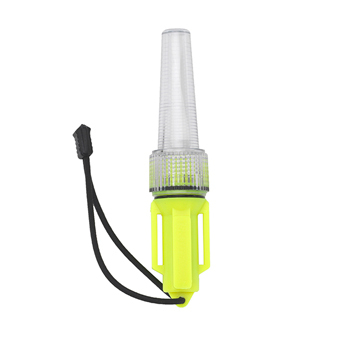 The Sirius Signal Mini Strobe Light is a high­-intensity LED strobe perfect for emergency location marking in marine environments. 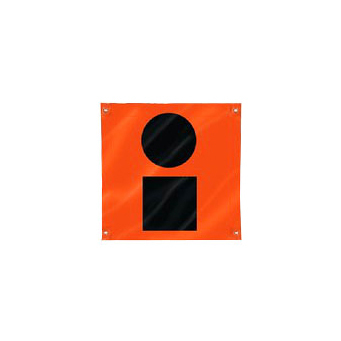 Inland Navigation Rules define a white strobe light flashing 50-70 times per minute a distress signal. Our compact Brite­-White LED strobe is crafted from durable ABS and LEXAN, double O-ring-sealed, waterproof, and has a depth rating of 1,000 feet (333 m). 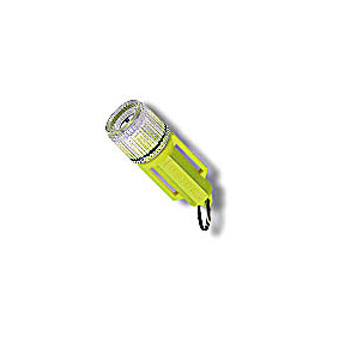 Lasting for 50+ hours on a fresh set of two 3.6v 1/2AA­size Lithium batteries (included), the Marine Emergency Strobe Beacon has an impressive lamp life of 10,000+ hours. Included at no additional cost is our adaptable bungee lanyard, allowing users to easily tether it easily.